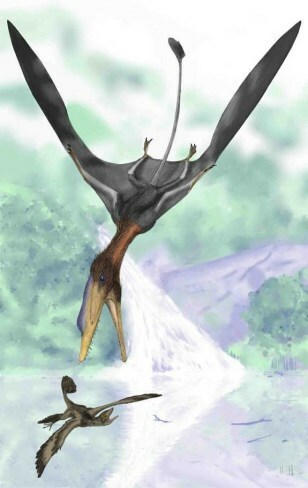 An illustrated reconstruction of the pterosaur Darwinopterus modularis. Reconstructions like these probably aren't the way the wings of these ancient flying reptiles are shaped. Wings like these wouldn't have gotten the giraffe-sized creatures off the ground.